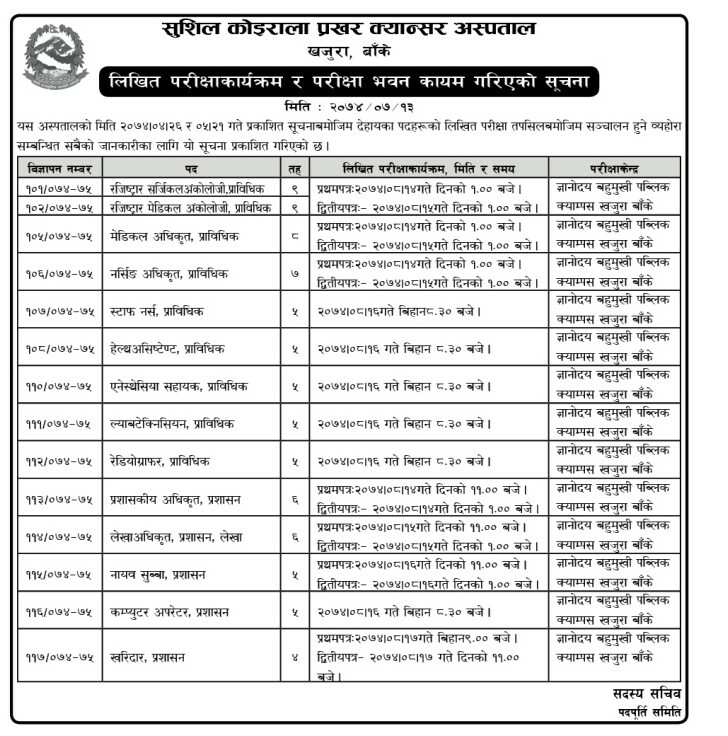 Susil Koirala Cancer Hospital has published a notice regarding the Exam Schedule indicating the exam centers and exam date of the Technical and Non-technical posts. The candidates shall contract Susil Koirala Cancer Hospital, Banke or see the Notice as given below. The download file comprise 1 page of on .Jpeg Format. Download and Save it you might need it later !! !